The Supreme Court bench of Chief Justice Dipak Misra, Justice D. Y. Chandrachud and Justice A. M. Khanwilkar on Thursday stayed the order passed on Tuesday by a Division Bench of the Calcutta High Court directing the State Election Commission to accept the nomination papers submitted via email by 3 PM on April 23 for the Panchayat Elections scheduled to be held on May 14. (v) The petitioners shall not notify the results in respect of the constituencies where there has been no contest, without the leave of this Court. The bench also restrained the State Election Commission from issuing, without the leave of the court, the results in respect of the constituencies where there has been no contest. However, the bench permitted the May 14 elections to proceed as scheduled, the Commission being responsible to ensure fairness. “The order was passed without even an enquiry into the facts relating to the alleged prevention of the candidates nominated by the appellant [CPI (M)] from filing their nomination...”, pointed out Mr. Dwivedi. In response to a query in this behalf by the bench, Mr. Patwalia submitted that 34% of the 58,000 candidates are unopposed at present. “None of these candidates have been impleaded...these 34% are not the issue...how can we set aside the elections without any adjudication of facts on an election petition? The election is to be held on May 14...how do we accept the email nominations and change the list now?”, countered Mr. Dwivedi. “May 14 is a tentative date...the relevant order has not been placed before Your Lordships”, responded Mr. Patwalia. Rule 40(3) of the West Bengal Panchayat Election Rules of 2006, providing that where the number of candidates is equal or less than the number of seats to be filled in any constituency, all such candidates may be declared to have been duly elected, was referred to. 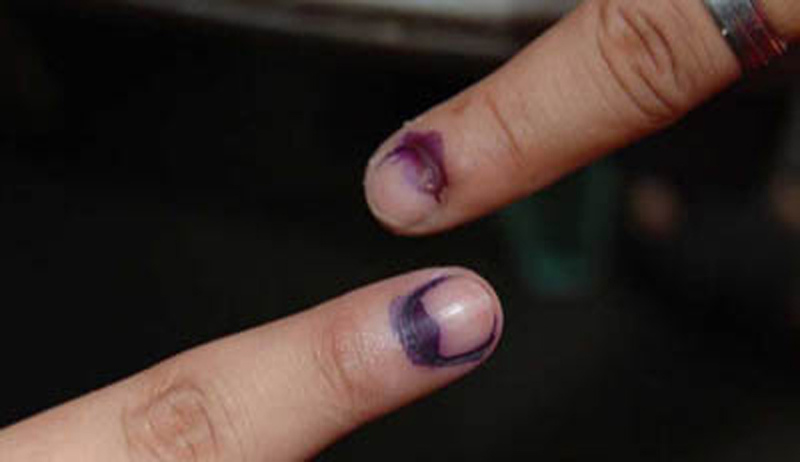 A division bench of Calcutta High Court has directed the State Election Commission to accept the nomination of the intending candidates to panchayat elections in the state, who had sent their papers through e-mail, before the last date. The Communist Party of India (Marxist) had approached the high court against the State Election Commission for rejecting the nominations through e-mail to the Election Commission as well as to the Returning Officer. As the single bench refused their prayer, the party approached the division bench in appeal. The main contention was that the Information Technology Act, 2000 read with Section 90 thereof permits the State Election Commission to accept nominations sent through e-mail and that there is a mechanism in the website of State Election Commission to accept nomination papers through e-mail. When the court asked the commission about the acceptance of nomination through WhatsApp, it was submitted that the said intending candidates had gone physically to the office of the Commission to submit their nomination papers and pursuant to order passed by the single bench, such nomination papers were accepted on the basis of whatever documents they had filed with the Commission through WhatsApp communication. “The State Election Commission, being a Constitutional body has to act fairly, transparently and independently to advance the democratic principles by allowing willing candidates to contest and at the same time provide for more options to the electorate to choose. When large scale allegations as to its independence, transparency and fairness had been made, it should have acted with caution and diligence. It ought to have considered allowing filing of nomination through e-mail and also accepted such nominations. This would have made all allegations against it virtually otiose,” the bench added. The court then directed the State Election Commission to accept the nomination of all the candidates nominated by the party, who have duly filed their nomination and submitted the same electronically to the Panchayat Returning Officers or the State Election Commission within 3:00 pm on April 23.